Heating to 15 houses in Lisdoonan Village, Carrickmacross has been upgraded to take advantage of the energy table which captures energy from humidity to replace burning Oil or Gas. In this project 15 houses are being heated from 4 small tables dotted around the estate. You are welcome to explore this technology and see how it can work for you in your home or your business by visiting Lisdoonan’s Open Door Day on Saturday 08/11/2014 from 11am to 3pm. 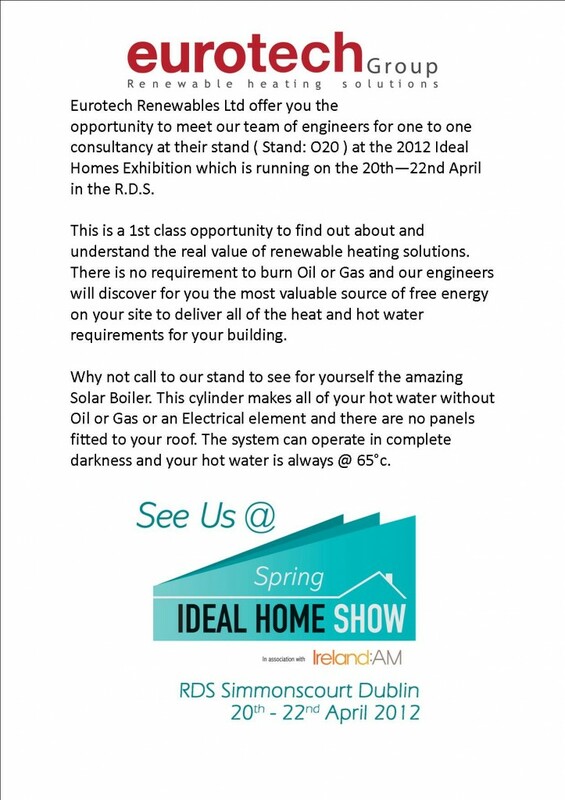 Admission is free and you will have an opportunity to see the technology operating in a real life environment delivering heat and hot water for ¼ the market price. The energy table was first tested in Ireland in 2005 and since then has gone on to become the most efficient way to henerate heating and hot water all year round regardless of sunshine or rain. Following the success on October 15th 2011 when Eurotech Renewables Ltd were selected outright winners of the “Brecan Mooney” geothermal heating award, Eurotech had an exceptional attendance to their stand at the Ideal Homes Exhibition over the Halloween bank holiday at the RDS. The Eurotech Renewables Ltd. solution using Ochsner heat pumps will future proof your house and reduce your carbon footprint dramatically. Many expressed their concern that a house tax of some form is likely, which will take the energy rating of the house into consideration. 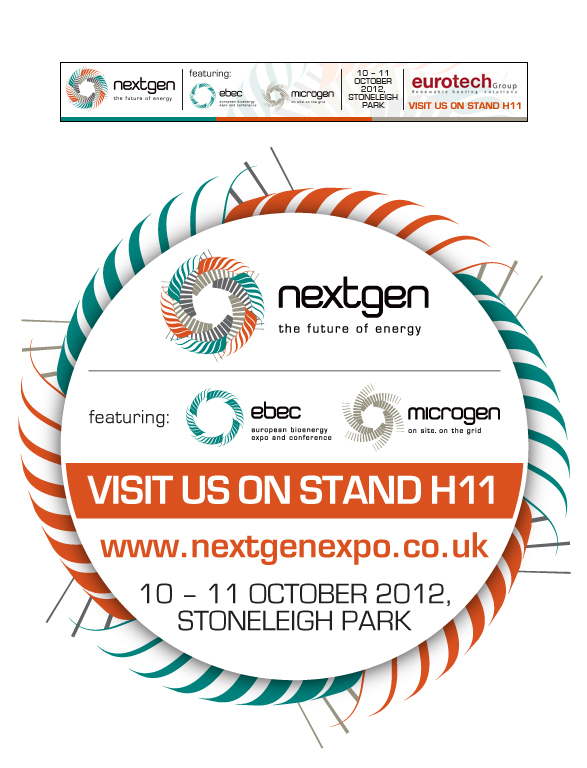 Already UK customers benefit from the low carbon Eurotech Renewables solution for this reason. Eurotech provide a predicted running cost with all our solutions, and a cost monitor to verify they are achieved. We have already fitted a solution for customers in your area and recommend, you speak to some of them before making up your mind. 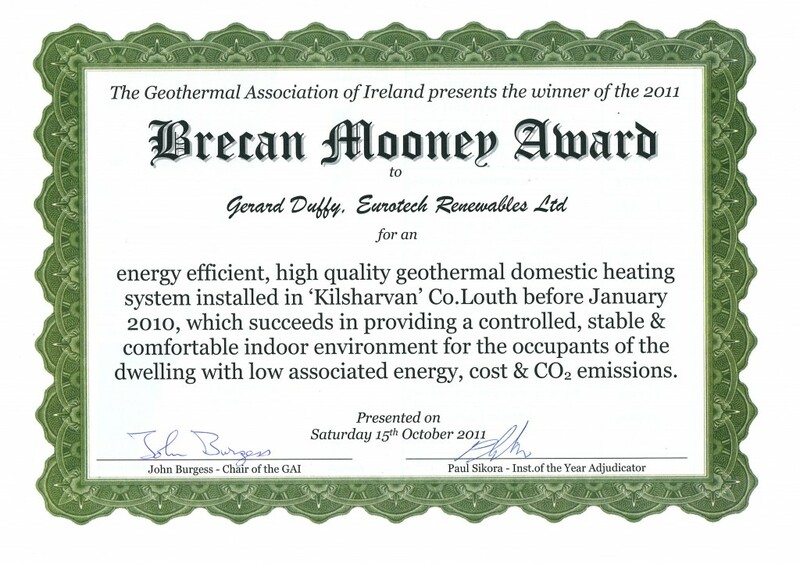 Eurotech Renewables Limited was awarded the inaugural Brecan Mooney domestic geothermal heating installation of the year award 2011, for the innovative geothermal heating system it installed in Sean and Mary McDonald’s home in county Louth, at a prize giving ceremony in Limerick on Saturday 15 October 2011. Geothermal energy is a renewable form of energy that uses heat stored in the ground to heat or cool buildings. The system installed in Sean and Mary McDonald’s home by Eurotech Renewables Limited uses an open loop system comprising 2 wells. The first well takes water from the ground which then passes through a heat exchanger connected to 2 ‘Ochsner’ heatpumps. Thermal energy is extracted from the groundwater for the purposes of heating the house. A third heatpump extracts heat from the bathroom exhaust air to heat the domestic hot water. The cooled water is then recharged back into the ground through the second well. The standard of installation in this project is exceptional. All heating plant and ground wells are easily accessible for maintenance and observation. The heating pipework systems are fully insulated and all equipment is clearly labelled. Operating instructions and installation manuals provide clear guidance on system use. The operation of the heating system is very efficient, resulting in a low energy, low cost system for the owners. The primary energy operational rating of this house is 88kWhrs/m² per year based on the first year of operation following it’s installation, placing it at B1 on a building energy rating scale which is expected to achieve an A rating following the initial drying out period in the first year of operation. The installation is saving 8,053kgs of CO2 emissions per annum when compared to a heating system that uses oil fired heating. Analysis of the system’s energy performance characteristics indicates that the cost of heating the house is at least one quater of that which would have arisen from using an oil fired boiler. The home owners are delighted with the clean, quiet and effective operation of their geothermal heating system. They are proud to be owners of a system that has low CO2 emissions when compared to conventional systems. Sean and Mary McDonald both feel the comfort levels in this house are very much improved in comparison to the oil fired radiator system they have replaced. The family also feel the system has benefited the family’s health as the relative humidity in the house is not affected by heating system. Eurotech Renewables Ltd. is a sustainable heating solutions company focused on the effective use of renewable energy. Eurotech are dedicated to providing high quality renewable heating solutions, delivering lowest possible running costs to commercial, public and private sectors. 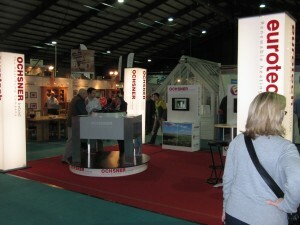 Eurotech Renewables Ltd. are located at Rossullus Walk, Castleblayney, Co. Monaghan. 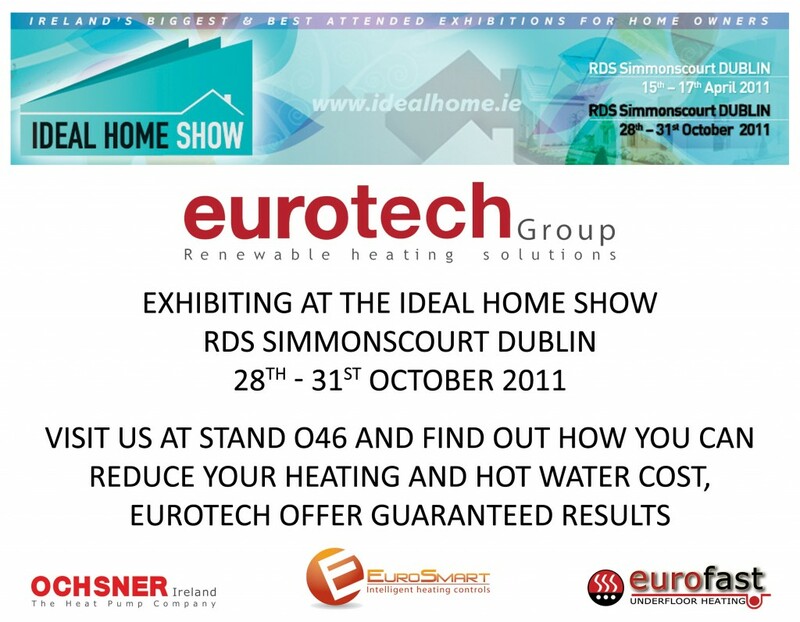 Email info@eurotech-heating.com, Tel 00353(0)429749479, Contact: Gerard Duffy. 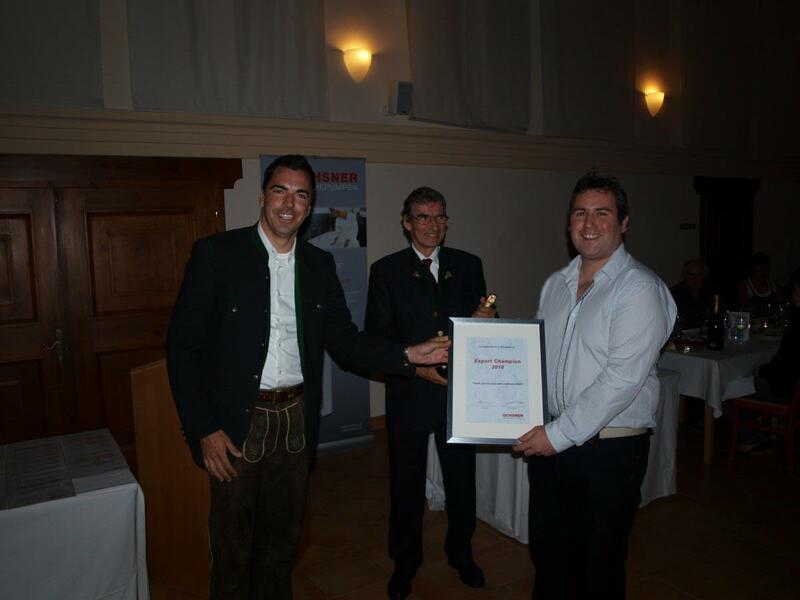 Eurotech Group receive top award at Austrian presentation in May 2011. Gary Duffy, commissioning engineer and technical advisor with Eurotech Group is presented with the Export Champion award by Karl Ochsner Snr. and Karl Jnr. at a gala dinner which brought Ochsner system partners together from around the world. The event took place in the world famous Admont Benedictine Monastery, foundation in 1074 almost one thousand years ago. 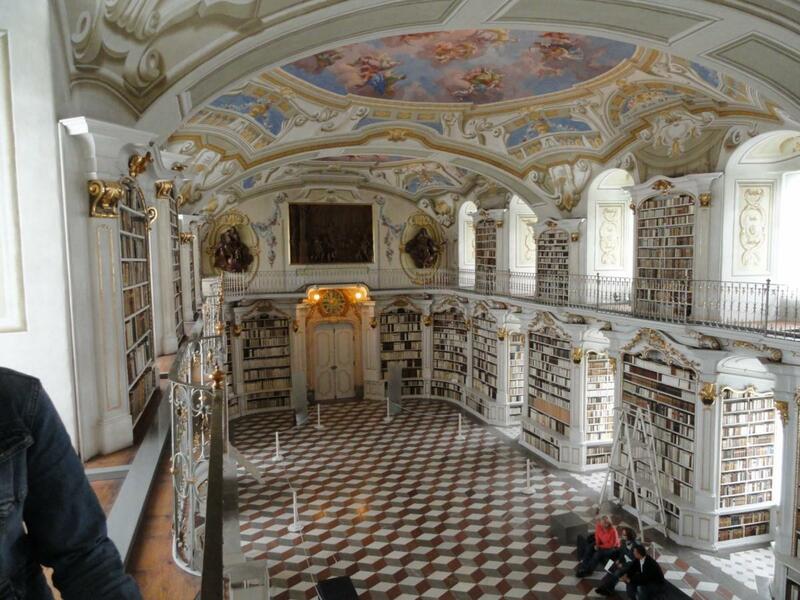 The monastery library is one of the most important cultural buildings in Austria and the largest Baroque work of art in Europe. 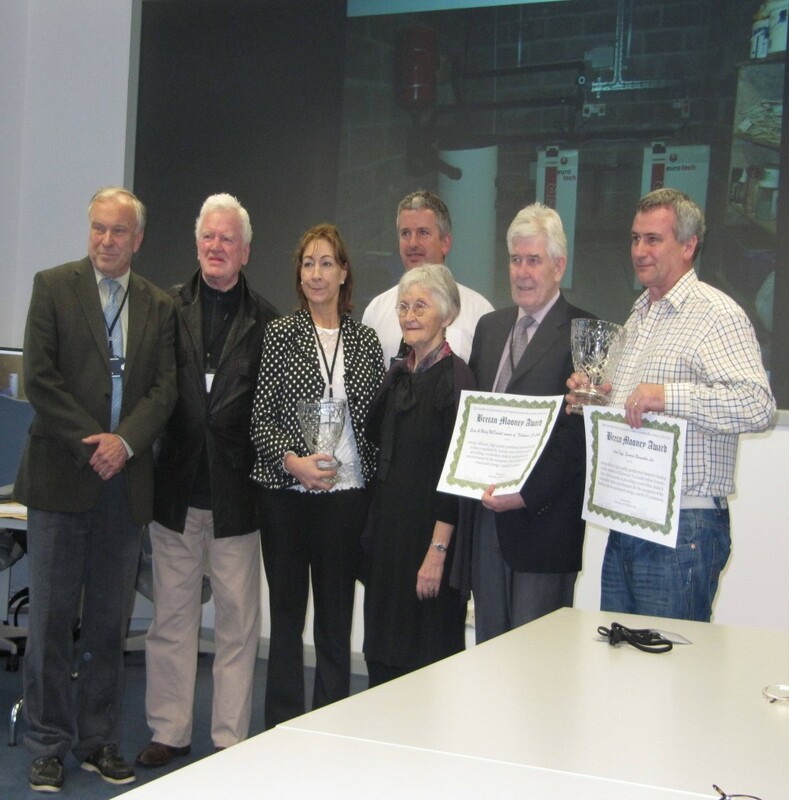 This is the second time Ireland has claimed the award for extra ordinary effort in distributing and supporting the Ochsner range of heat pumps in Ireland and the UK. Karl Ochsner remarked that in 2010, the coldest winter recorded in Ireland with temperatures dipping below -18°c in many areas, Ochsner heat pump users expressed their delight and satisfaction with the system designed and supplied by Eurotech. 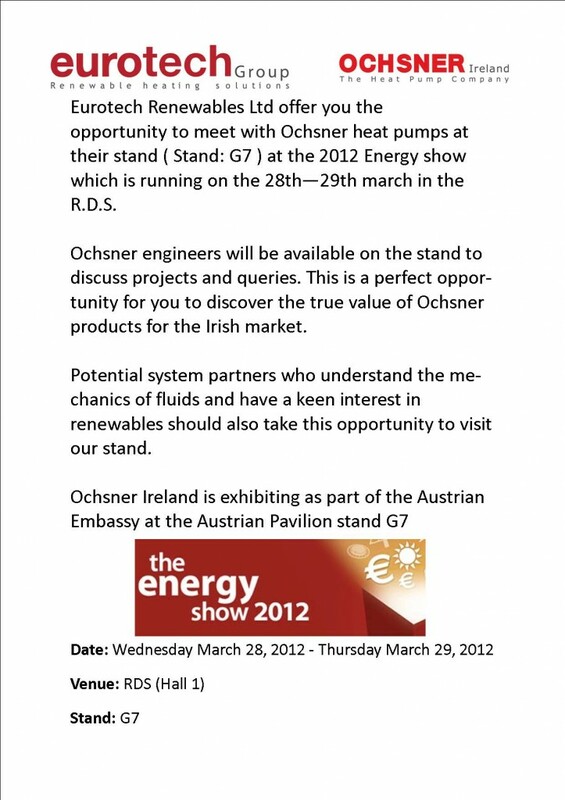 Ochsner heat pumps are distributed in Ireland by Ochsner Ireland, part of the Eurotech Group. On accepting the award Gary Duffy expressed his gratitude to Ochsner, in particular for their commitment to research and development, and encouraged them to continue setting high standards, taking advantage of technological developments as they occur. Embracing technology is the way forward and hundreds of Irish households and industries already benefit from extremely low energy cost as a result of Ochsner technology. Underfloor Heating is the perfect choice where comfort and running cost are required in a heating system. The comfort delivered by a designed underfloor heating system cannot be replicated by conventional radiator or forced air heating systems. 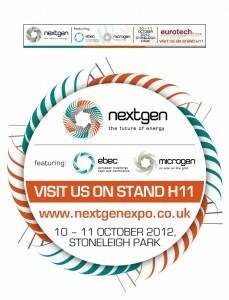 Eurotech launch the New Solar radiator to extend our system range. Customers who like the idea of radiator can do so without increasing their running cost even when using a heat pump. Everybody knows underfloor heating is the most energy efficient form of heating due to its low flow temperature.